Well, you release one flash new operating system with a touch-friendly interface and suddenly touchscreen laptops are all the rage. 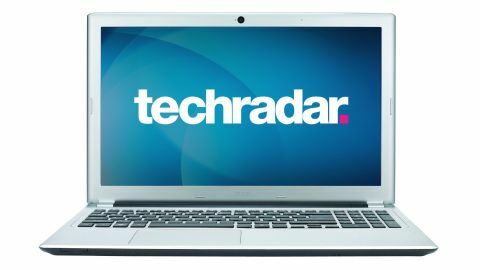 We've recently seen the Asus VivoBook S400C, the Lenovo IdeaPad Yoga 11, the Asus Taichi and the Dell XPS 12 all get in on the Windows 8 action. And there's more to come, of course - we saw the Lenovo ThinkPad X1 Carbon Touch and HP Pavilion Touchbook Sleekbook at CES 2013. Clearly, this is the time to get on board with dirtying up your computer's screen, even if you don't have a tablet. The Acer Aspire V5-571-323b4G50Mass (to give it its full title - you'll forgive us if we start referring to it as the V5 Touch, we trust) brings the touchscreen shenanigans to a lower price point - around £400 (about AU$603/US$628) - than many of those other laptops. Though it's certainly not cheaper than all - the diminutive Asus VivoBook S200 just about beats it on price. What you get is a spacious 15-inch widescreen display, replete with 10-point multi-touch for interacting with the provided copy of Windows 8. It also offers a keyboard and multi-touch trackpad for some old-school controlling, but there's little here that makes it stand out for the price when you pull away from that touchscreen, so it's definitely the focus. The laptop is powered by an Intel Core i3 processor, with 4GB of RAM and a 500 GB hard drive. The Acer Aspire V5 Touch is reasonably thin, but it doesn't count as an Ultrabook, for a couple of reasons. Firstly, it lacks the requisite solid-state drive for fast boot time, while also being just a tiny bit too thick and having a processor that doesn't qualify - its Intel Core i3 CPU lacks some features that Intel requires for the Ultrabook spec. As we say, though, it's fairly svelte for a standard home laptop, which makes its weight all the more deceptive - at 2.6kg (5.7lbs), the heft rather catches you by surprise the first few times you pick it up. This might be portable from a thickness point of view, but it's not a weight you'll want to be carrying everywhere. Looks-wise, the silver plastic is fairly non-distinct. It lacks the flair and friendliness of the Lenovo IdeaPad U310, but it doesn't look too nasty or cheap (although our review model had picked up some very noticeable scratches on the lid, so that's something to watch out for). The silver body with black screen bezel and keyboard will inevitably invite comparisons to the MacBook Pro, but the way the display rounds off in the corners and curves off at the edges actually reminds us a lot of the Nokia Lumia 920. As far as build quality goes, it definitely feels budget. Most panels will flex when any pressure is applied (such as picking it up), but the way it's actually put together seemed solid enough to us - there's a little give, but it doesn't feel like it'll fall apart. There's a decent array of connectivity (which we'll detail in the next section), despite it being a budget machine. As we've said, the key thing to look out for here is the touchscreen, because even its budget status is having pressure applied from above, with the likes of the Asus S56CA coming close to it on price while managing to be an Ultrabook - with all the advantages that entails.